This is crap coffee. In the most literal sense of the word. But it’s also up there as one of the weirdest, most unique, and interesting coffee experiences going round… perfect for the coffee snob in your life. Or just to treat yourself with something a little off the wall. 1. Kopi Luwak, which initially sold for upwards of $1,200 a kilo, has become a murky ethical issue, as people seek to capitalise on the brew’s popularity by battery farming civets – the cat like animal that poos out the beans. No cup of coffee is worth cruelty to animals. 2. This wild harvested Kopi Luwak was provided to me by the Bean Providore, for the purpose of this review. As you’ll see – I’m not entirely unbiased when it comes to Kopi Luwak, so I probably should not just declare that the coffee was provided for this purpose, but that I have an if not vested interest, at the very least, an emotional interest, in seeing the Kopi Luwak legend grow. They sell their Kopi Luwak at $55 per 100gms. It’s not cheap. The big question is – is it worth it? 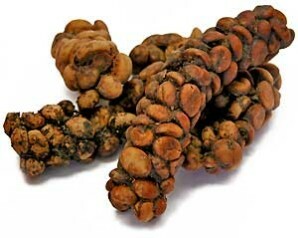 Kopi Luwak is famous. Of all the cool stories in the world, I’m connected enough to this one to feel a little sentimental about these little logs of excreted coffee beans. You can read more about how in this piece from my archives. But Kopi Luwak is a global media juggernaut – and I wrote the media release that started it, and was involved in the campaign that kept fanning the flames. Bean Scene ran this profile of my friends Allan and Michelle Sharpe, who launched Kopi Luwak into the cafe scene as a $50 coffee, called me to ask if I’d be interested in the story – which I was. And the release I wrote at 3pm one afternoon hit the front page of the Courier Mail the next day. We served up Kopi Luwak to a room full of travel writers a few months later. And the Sharpe’s Tea Rooms received coverage from That’s Life magazine, Sunrise, and then a host of global newspapers as the ball started rolling. Finally, they got a call from the producers of the movie The Bucket List. “When Allan Sharpe and his wife Michelle started serving Kopi Lewak coffee at their business, Harvey’s Range Heritage Tea Rooms outside of Townsville, he was hoping for an article in the local paper. This story was, and remains, the biggest news story I ever broke. I enjoyed several cups of Kopi Luwak at the time, as I brought journalist after journalist to the Tea Rooms to sample the $50 cup. And while I don’t think any 8 Oz beverage is worth $50, the experience clearly is. That’s why the Tea Rooms maintained pretty steady sales of the drink for years. The story goes that the coffee cherries selected by the Palm Civet as they wander the plantations by night are the choice beans, and then the acids in their stomachs chemically alter the coffee bean so that it’s not bitter. It’s a particularly earthy and mellow cup of coffee. Now. I don’t want to disparage my friend’s and their cafe (which is a fantastic little spot, half an hour outside Townsville – the oldest building in North Queensland. The Harveys’ Range Heritage Tea Rooms) – but my coffee making, and coffee appreciation, have both come along way since the days of drinking slightly too hot coffee in regional North Queensland. And a few factors, like not selling a huge volume of the coffee regularly, and a gap where the roasted coffee made its way through customs, means the beans I was drinking then were no doubt less fresh than the beans I like to drink now. Enter the Bean Providore, and this fantastic mail order service they offer. I liked the idea of reviewing fresh Kopi Luwak, made on a machine I’m familiar with, where I was in control of the variables. The beans are a nice light roast. Not the overly black stuff I’ve seen served up as Kopi Luwak elsewhere. I started off with a double shot flat white, I dosed 20gm of coffee into my VST basket, at a standard espresso grind, and ran the shot for a slightly long pour than 30ml – a 66mL double shot, I stopped the pour at the first sign of blonding. I was pretty happy with the way it poured. But the proof of the coffee is in the drinking. It was pretty good. The milk leaves you with a pretty different flavour profile to the tasting notes for espresso. It was chocolatey, with a hint of rich earthiness, with a really coating mouth feel, and a lingering, pleasant, aftertaste. It’s not $50 a cup anymore – it’s more like $11, so was it worth it? Throw in the added bonus of drinking something that was processed by an animal’s digestive tract, and I’d say yes. I wouldn’t drink it every day. But I’d bring it out on special occasions or as a special treat – and as a coffee lover, I’d be chuffed to get some as a gift. The great thing about the lower price point (though some of it, in part, is through the glut of unethical stuff readily available – though the number of civets allowed free range on coffee plantations has also surely increased), is that this isn’t a once in a lifetime, somewhat exorbitant, experience anymore. 100gms will do coffees for a dinner party – and that’s about the price many people pay for a bottle of wine. I wanted this to be as objective as possible. So not only did I drink it as a short black – where it did produce the floral aroma and herby notes with a unique aftertaste. I served some up to my little sister – who described it as choc-caramel, and delicious. And a couple of friends – who are on a steep learning curve of appreciating specialty coffee – who said their flat whites were top quality, the kind of thing you’d drink in an excellent cafe, and you’d go back for more – and that there was a pleasant ashiness to the coffee, and a really buttery feeling in the mouth. Their words. So in all, the four of us who sampled this bag called it a winner. And you can order it, and give it your own verdict, from the Bean Providore, who also do a fantastic subscription service where they’ll mail you a sample show bag of coffee every month.